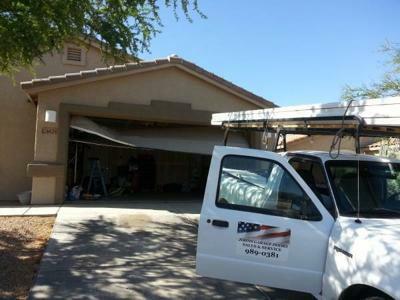 If you need garage door repair in Oro Valley, there’s a large number of companies you could call in the Tucson area. 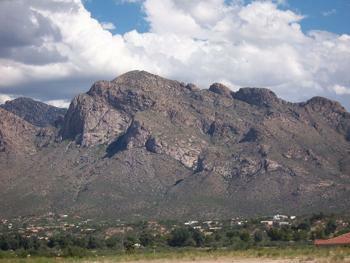 However, not many of them are actually located in the Oro Valley area, the way that I am. 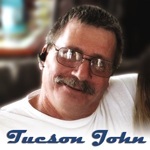 While I do offer services throughout Tucson, a large percentage of the work I do is right here in the immediate surrounding areas of Saddlebrooke, Marana and Catalina and NW Tucson. New Customers - Click to get an EXTRA 10% Off! And the fact that you’ve spent this much time reading and doing research about who you’ll allow to come work on the biggest door in your house tells me you’re the kind of customer I appreciate, (and who usually appreciates me, too!) By reading about the way I approach my customers, it tells me you care. And for that, I like to extend an additional discount off my already low prices. You can simply click on the button below and learn how to save an extra 10% when you decide to call me. I answer a lot of the same questions about garage door repairs from customers in Oro Valley, Marana, Saddlebrooke and the rest of the Tucson area. While I always enjoy speaking to customers, I thought putting some of the more Frequently Asked Garage Door Repair Questions here on my site might make things a bit easier for everyone. I hope it will be helpful to you. A: Measure your garage door opening width-wise first and then height-wise. Most two-car garage doors are around 16 feet wide by 8 feet tall. A garage door company will take exact measurements for free when ordering your new garage door. A: Yes it is possible, however it might be just as expensive to order sections as it is to order a whole new garage door, complete with new springs and parts. 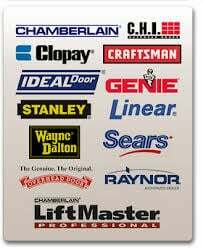 Contact the manufacturer of your garage door to ask about availability as well as cost. Q: Is there a quiet garage door opener that won’t wake me up? A: If your garage door opener is very loud you probably have a chain-drive garage door opener. Belt-drive garage door openers are much quieter and some are even silent. Most garage door companies offer free consultations for new garage door openers. Q: What’s the difference between a chain drive, belt drive and screw drive garage door opener? A: Chain drive garage door openers are inexpensive and very strong and are great for extra-heavy or custom built garage doors, but they’re very loud. Belt- drive garage door openers are much more expensive, but they’re also very strong and are so quiet they’re sometimes considered silent. Screw drive garage door openers fall in between chain and belt drive openers on noise level and cost, and they’re great for extreme environments where it’s very hot or very cold, but they’re not as strong. A: It’s always recommended that you replace both springs. Garage door springs work together and wear together, and even if one spring looks intact and perfectly fine chances are it will break in a matter of months. Pairing uneven springs together can also void warranties and cause damage to your garage door tracks, costing you significantly more money in the long run. Q: There was a loud noise in the garage and now the garage door won’t open. What’s the problem? A: It’s probably a broken spring. Garage door springs make loud noises when they break and your garage door can’t open with even one broken spring. Call a garage door technician for a replacement. Q: The garage door doesn’t open when I push the button. What’s the problem? A: It might be a receiver problem. Check all batteries and if the wall unit is plugged in to an electrical outlet. If the problem persists, call a garage door technician. Q: The light on the garage door opener turns on but the door doesn’t open. What’s the problem? A: Since the garage door opener is obviously receiving power, chances are it’s a motor problem. Call a garage door technician to diagnose it; don’t attempt to open up the unit yourself because you will risk electrical shock. A: First make sure nothing is in the way of the garage door path or the sensors that could be causing the problem. If the problem persists it’s probably because the close limit switch needs adjusting because it thinks the door still has more to go before it’s closed. This means the safety features are working, but it also requires professional attention. A: Unless you have professional training as a garage door technician it’s never a good idea to attempt garage door repairs without professional help. The risk of electrical shock, serious injury from a broken spring or property damage from a free-falling 400 pound garage door isn’t worth it. 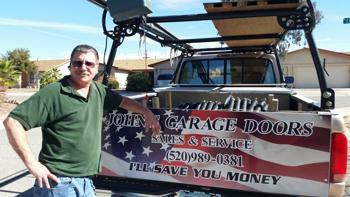 Always call a professional for your garage door repairs. A: All modern garage door openers have a photo-electric sensor and a pressure-sensitive sensor that cause automatic reversal if they detect an object in the path of the garage door. Certain garage door opener models have additional safety or convenience features. A: Potentially, if you have a garage door opener with a single code between your remote and the receiver a thief could buy a piece of equipment that reads that code and manipulates it to grant access. However, most modern garage door openers use rolling codes for safety, making it impossible to duplicate the code for a thief. If you’re concerned, contact your garage door opener manufacturer to determine which model you have and consider upgrading if you have a single code garage door receiver. A: Yes, garage door openers manufactured before 1993 do not have any safety features. Modern garage door opener safety features have been responsible for saving thousands of lives every year. Plus, it’s nearly impossible to find a garage door repair company who will perform repairs on a unit that old because law mandates these modern safety features be installed on every garage door opener. Repairing a broken garage door can be a hassle for any person, even professionals. There are plenty of methods that can help you limit the amount of repair you have to actually do for your garage. Over the years garage doors have become increasingly technically advanced with the invention remote control mechanical doors. The advance in technology has also increased the need for routine maintenance checks and in some cases annual repairs. This can be extremely annoying for most people so we will examine certain methods to decrease repairs in a simple cheap manner. The first thing that needs to be prevented (especially if you have children) is making sure that you keep dents to the minimum. Dents in a garage door can cause tremendous problems especially with opening and closing. The tracks that enable the garage door to open and close can become extremely damaged by dents. This can be recognized by a screeching sound or just an unfamiliar sound coming from your garage door every time you open it. Try using a hammer or mallet to knock dents back into place, this will keep your garage from losing track making it last longer. If you have a mechanical or electric garage door it is a good idea to make sure all circuits are running correctly. Checking the battery on a routine basis can be the defining factor on the longevity of your garage door. When doing electric garage door repairs check to see if all the wires are intact. If you’re remote begins to struggle to control the door, check the batteries then check all necessary wiring that could affect the performance of your garage door and the remote control. Also with electric doors, weather conditions can play a role in the doors deterioration. Regular maintenance is the best and most simple option for effective garage door repairs. Making sure all metal is lubricated with a good silicon spray lube can make the life of your garage door substantially longer. Also, if you have children try to limit the amount of times they open and close your garage door. It is important to check the bolts and screws in your garage door regularly to ensure safety and performance. If you use your garage frequently it is important to check all necessary door panels and brackets holding it in place as well. Making garage door repairs should be simple and easy and these are the best preventative ways to keep your garage from breaking down. Professional garage repairs can be expensive so it is important to take all precautions to save you money in the long run. Don’t forget to check out our new video and let us know what you think about it! I’ve been getting some help with getting the word out about my new site and had a video created that you can see below. Would love to hear your thoughts on it, and would really love it if you shared it with friends, family, neighbors, coworkers or anyone you may know that needs help with their garage door in Oro Valley or surrounding areas and wants to save some money. We’ve had another video created to help clarify some of the things that you should look for when hiring a garage door repair company, whether it be in Oro Valley or anywhere (or even if it isn’t related to garage doors). You can see it by following the link above. We hope you find it helpful. Any Arizonan who bought milk in the past 14 years is eligible to get a little money back. Arizona is one of 15 states (and the District of Columbia) involved in a class action lawsuit against milk producers. The lawsuit accused milk producers of price-fixing. Instead of taking the case to court, the producers settled the case for $52 million. 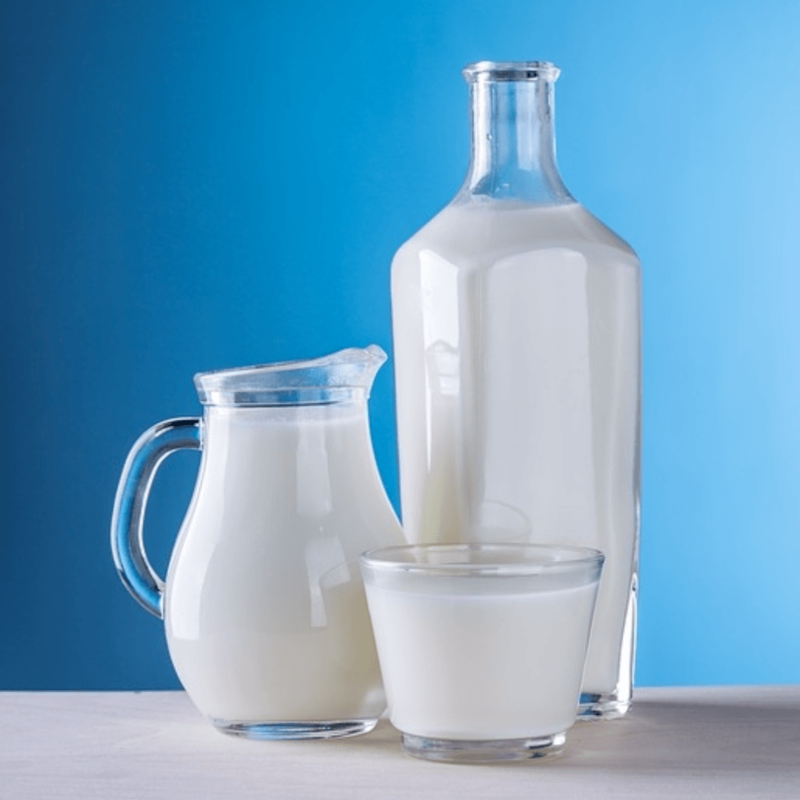 To be part of the settlement, you have to live in one of the 15 states and have bought a milk product (milk, half and half, cream cheese, sour cream, cottage cheese, yogurt or cream) at a grocery store or other retailer. How much money you get back depends on how many people enter the pool to receive benefits. Estimates suggest individuals will receive between $45-70. While I gladly service all of the Tucson area, I like to make sure the good folks up in the Northwest part of town know that I actually live near them, and so am readily available. In fact, I just had the following video created to reach out to our neighbors in Saddlebrooke who may need some garage door help. I hope you like it, and while I don’t wish a broken garage door upon anyone, I do hope you’ll remember to give me a call if you have any issues at all. Well, it may not be “inspiration” the way you might normally think of it (but hey, it’s coming from Tucson’s garage door guy – cut me some slack!…), but for those people who are considering doing a bit of home renovation, I did come across some great info you might find useful. I guess it’s because I see so many garages that people often ask me about ideas for converting them, or other parts of their house, into additional living space. I’ve done a bit of home DIY stuff, but I’m no expert. I do like to see what others do though, both in person and through articles like the one below. Maybe those of you thinking of expanding your home, or just remodeling a bit, can get some inspiration from what can be done with not all the much space, at least when it comes to bathrooms. 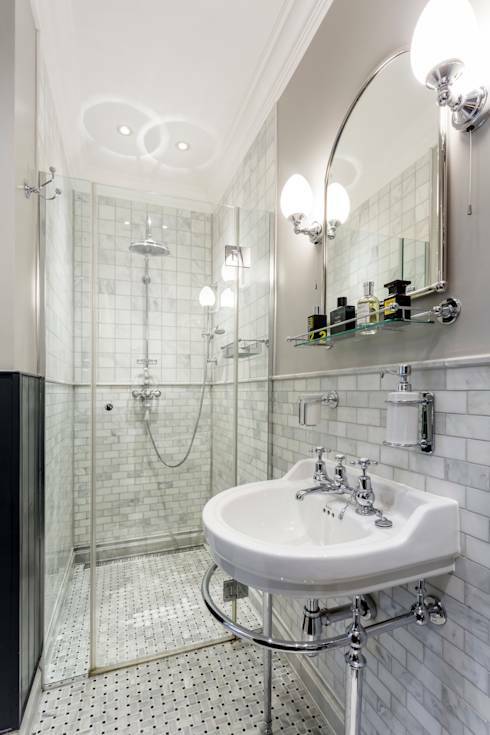 Here are some amazing ideas to renovate your small size bathroom today in the most stylish way. In fact, the ideas below make you wonder how can one get luxury along with optimum space utilisation without emptying your pockets. The bathroom in the image is the perfect example of ideal space utilization and in the most fashionable way. The earthy look through the brown tiles and washbasin blend beautifully with the white bathtub, making a soothing look. OK, so I’m new to this whole “blogging” thing, and a term I’ve read about is called “click bait”… as in, if you were looking for “inspiration” and you saw the title of this post, maybe you were looking for something a bit more meaningful than small bathroom designs! If that’s the case, first of all, I apologize… and I hope that this other story that I came across makes up for it. For me, it really was inspiring to see so many people come together here in Tucson, especially considering how tense the general atmosphere has been these past few months. I sincerely hope others appreciate this as much as I did. Sunday, 2,000 community members arrived at Hi Corbett Field to be a part of this year’s Human Embrace Event. Sunday marked the six-year anniversary of the January 8, 2011 mass shooting that left six people dead and 13 others wounded, including former Congresswoman Gabrielle Giffords. 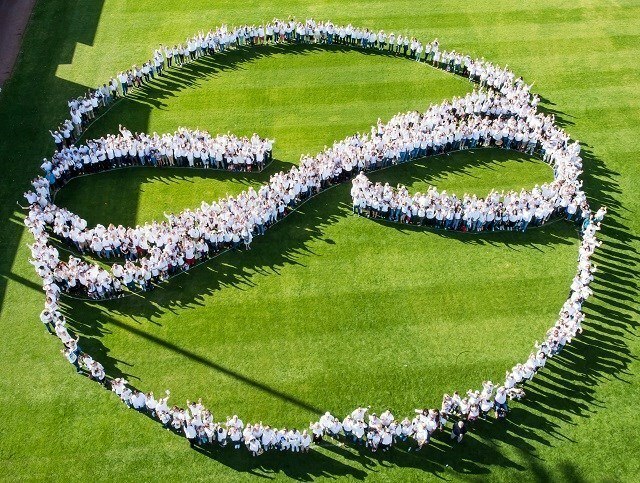 People were asked to wear a white shirt and form the Human Embrace symbol. Survivor, Pam Simon, was in attendance. Simon said the Tucson community is unique. We can accomplish so much when we all pull together. We must always remember that. 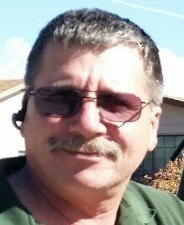 I would like to extend warm and sincere Happy New Year wishes to all of Tucson and surrounding communities that I service, hoping that 2017 brings you and your families all good things. With that being said, we all know that unfortunately, “things” break down from time to time, so if or when you find your own garage door not working as it should, I hope you’ll consider giving me a call. I’ll be more than happy to get things working again like it should, and I can do it at a very affordable cost, too. I’ve been fortunate to already help quite a few people in the Old Pueblo, and this year my goal is to help even more of you to have safe, functional garage doors without costing your a fortune. To that end I’ve even decided to step up my game a bit and had this new website put together in hopes of reaching more of you. It has only just ‘hatched’ (is that what a website does? ), but the plans are to establish a much stronger online presence so you can easily find me when you need me. 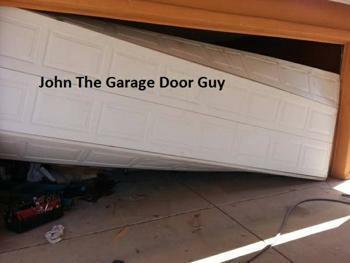 And so that you and your neighbors will think, “John’s Garage Door Repair” when you have any questions or issues with your garage doors. To keep in touch, I’ll also be keeping an eye out for different things that might be of interest to you, my customers. This may be events coming to Tucson, Marana, Oro Valley or Saddlebrooke, or maybe just some interesting, thought provoking articles. I tend to be drawn to things having to do with repairs around the house, but with a bit of help from some other good folks, you might find a variety of things popping up here on our blog! 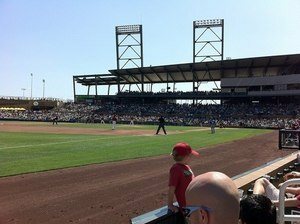 The D-backs open their 20th Spring Training on Feb. 22 at Salt River Fields at Talking Stick with a game against Grand Canyon University. I know I’ll be doing my best to get out to some of these games… hope you make it too!